or by using this proxied Google Scholar for off-campus access. 2. 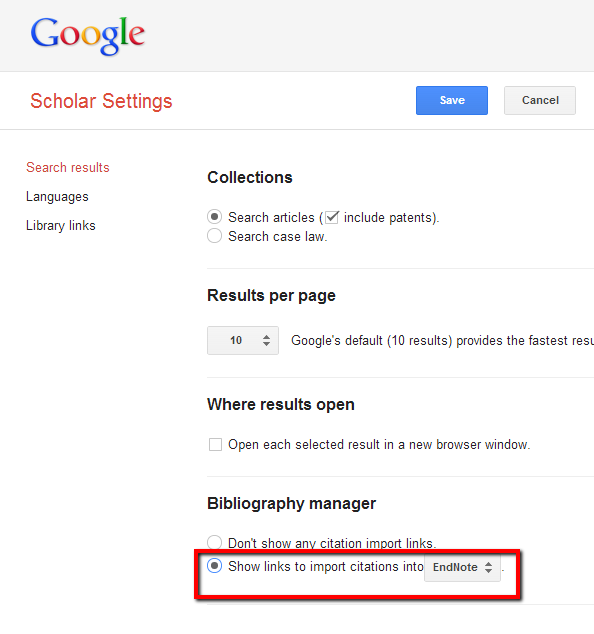 Visit Scholar Preferences in Google Scholar. 3. In the Bibliography Manager section select "Show links to export citations into" and choose EndNote from the drop-down menu. 5. Next time you search on Google Scholar, you'll see "Import into EndNote" as an option after each item.